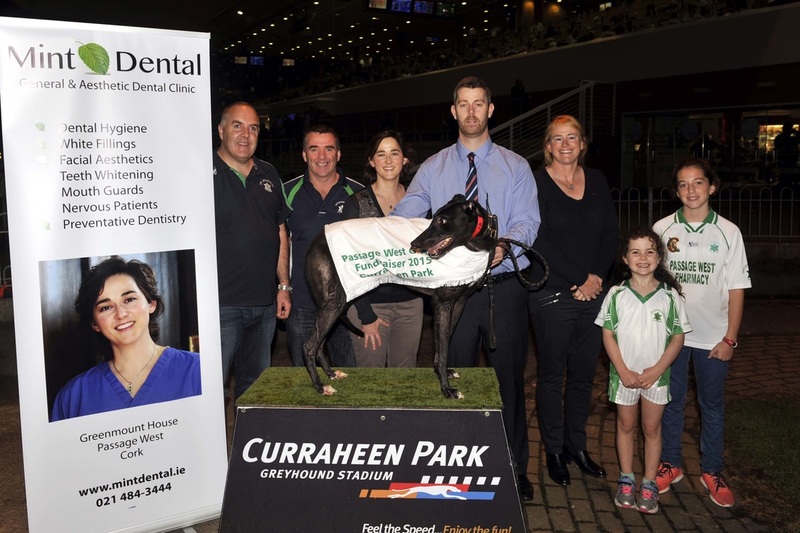 Night at the Dogs Launch Night with sponsors Mint Dental, Passage West. Dr. Liz Kelleher and Clodagh Mulcahy of sponsors, Mint Dental, Dave and Ellie Maxwell, Russell and Lauren Quigley and Frank O'Meara, Commercial Manager Curraheen Park. Lauren Quigley and Ellie Maxwell at the launch of the Mint Dental Passage West GAA fundraiser to be held at Curraheen Park on Friday 25 th. September.